Building your own home is a long-lived dream for many but it doesn’t have to remain an unfulfilled dream. It is easy to see why it appeals - not only do you get to design a home around your tastes and needs, you could save over 30% on the cost of a ready-built house. It is because of the amount a self-build could save you that makes the dream not only possible but financially savvy. The global recession has made it more difficult to obtain self-build mortgages but plot prices have also plummeted so it is still a great time to fulfil that dream and build your very own house. Self-build mortgages tend to use the same calculations as traditional mortgages so you’re likely to be lent as much as 3.5 times a couple’s combined income or 4.5 times your individual income if you’re borrowing on your own. Remember though that the most important thing to consider is whether you’ll be able to make the monthly repayments. 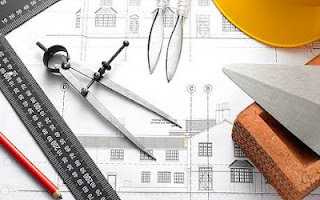 Unfortunately, due to the uncertainty of an unbuilt house the application process for a self-build mortgage is more arduous and takes more time. You will need to be able to show the lender that you have planning permission for the size and type of house you intend to build, as well as your plans and the estimated cost of the build - try using an estimating software package. It may seem time-consuming and costly to have to do all this before you’ve even started the project, or perhaps before you’ve even bought the land, but it is necessary. Self-build mortgages differ from conventional mortgages in the way they release funds. Rather than lending you the money in one lump sum, self-build mortgages release money in a number of stages throughout the build. This is because at the beginning the final value of the property is only a projected one - all you have is the plot of the land. As the build progresses, so does the worth of the property and therefore the risk to the lender lessens, allowing them to release further funds. There are usually six stages - the purchase of the land, the preliminary costs and laying of the foundations, the erection of the frame, ensuring it’s wind and watertight, the first fix and plastering, and the second fix up to completion. The most usual type of self-build mortgage is arrears based, in that money is released after each stage is completed and is verified by a surveyor. This works for those who already have some initial capital to buy the land and start the build, for example if you have savings or have sold your house. If you can’t wait until the end of each stage for payment and need up to 90% of the cost of the land and build because you don’t have enough savings or want to stay in your current house until the build is completed, an advance mortgage is best for you. However, advance self-build mortgages can sometimes have heavy insurance premiums hidden in the total cost so make sure you check the fine print.